A conversation centred on the rapidly evolving Asia wine market with wine writing colleagues the other day brought to light the growing divergence in preference for wine styles or grape varieties between countries and metropolis’s around the region. All of us are resigned to the fact red bordeaux or anything with “Chateau” on the label presently rules in mainland China and to a large extent Hong Kong, the umbilical supply chain of this commodity. However, it was interesting to note that Jancis Robinson MW, in her recent travels around the region, picked up on trends in the more mature market of Singapore, where there is a growing awareness of wines styles that are more suited to the cuisine and climate. Concurring with her observation, I would suggest there is also a direct correlation to the obsession with food in Singapore and a preoccupation with the nuances of eating that is practically a national pastime. That said there are still many restaurants here with wine lists that are shrine to Bordeaux. I recently encountered such at Imperial Treasure Super Peking Duck, needless to say, a brilliant place for duck and you would think a good bottle of pinot noir. Problem is they have over 100 red bordeaux’s and only four pinot’s on the list; three very ordinary red burgundies and one pedestrian New Zealand example, to which two were unavailable – one can only assume by popular demand! The Japanese were the first in Asia to discover the subtleties and harmonious qualities of pinot noir and its suitability to their cuisine, unquestionably now the biggest market for red burgundy and pinot noir in the region. Highly attuned to diverse flavours in cuisine with its multi-regional influenced and relatively feisty cuisines – Peranakan, Malay, Thai, Indonesian, Indian, Sri Lankan – Singaporeans are fast-learning that pinot noir, in particular the softer, brighter-sweeter berry fruit new world style, brings these cuisines alive, in some instances enhancing the flavors and spices, in others providing palate refreshing attributes that stimulates ones appetite and tempers the invigorating pungency. I am positive an affinity towards pinot noir will permeate China and Hong Kong soon enough as assuredly they are equally obsessed with food and will appreciate how harmonious this ethereal and versatile grape is with the myriad of flavors and textures in Chinese cuisine. The problem is when they do, who will be able to satisfy such a bourgeoning market with sufficient volumes of pinot noir when there are very few places in the world where it actually grows successfully. Burgundy might be seem the likely answer however it is fiercely expensive and equally scarce in the top-echelons moreover, perilously unreliable at the lower-scale, so much so even the most established wine markets are disinclined. Notable new world pinot noir producing countries like America and Australia can hardly keep up with their local demand with little incentive to export, which leaves the most logical and promising challenger to burgundy – New Zealand. Adding some provocation, since I am making comparisons to burgundy (hypothetical of course), New Zealand’s pinot noir regions parallel burgundy but in the reverse, turning the map of burgundy upside down – with Lyon being Hastings and Dijon, Queenstown – the bottom of the North Island (Martinborough) down to the middle of the South Island (Canterbury) reminiscent of the Cote de Beaune appellations and Central Otago, in the deep-south, is the Cotes du Nuits. 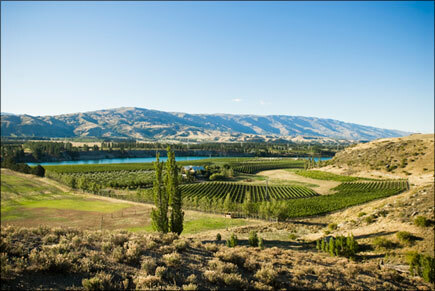 And if Central Otago is the Cotes de Nuits then the sub-region of Bannockburn is Vosne-Romanee, for it is here, in a relatively very small area, that the most aromatically endowed, plushest and gorgeously textured, profound pinot noirs are made in all New Zealand, if not the entire new world. As every pinot noir lover knows, the two most important qualities in pinot noir are aroma and texture, and Bannockburn pinot noir has it in spades. There are four top producers in Bannockburn, Bald Hills, Felton Road, Mt Difficulty and Valli, the later being owned by the widely respected winemaker and authority on pinot noir Grant Taylor, who also makes the pinot noir at Bald Hills. I tasted several vintages of the Bald Hills Single Vineyard Pinot Noir recently at the New Zealand Pinot Noir Celebration 2010, held in February and was totally impressed with the wines in terms of consistency, complexity and unbridled power with none of the wines yet to reach optimum drinking, including the coveted 2005. This wine was awarded the Sustainable Wine Trophy and also Best Red Wine Champion Award at the 2007 International Wine Challenge, arguably the world’s most important and certainly largest wine show. It went on to achieve a hat trick with the International Pinot Noir Trophy at the 2007 Decanter World Wine Awards. This is remarkable achievement for any winery, let alone a pinot noir from the New Zealand! A striking perfume of violets and dried thyme becomes deeper with rich black cherry, blood plum and blueberry compote; these sweet berry aromas lifted by hints of dark Manuka honey and subtle caramel. As the wine breaths out it reveals an alluring farmyard-chook shed funkiness with brie cheese-lactose nuances – the sort of pongy bits that pinot noir enthusiasts cherish. Indeed, it one of those wines where the melange of fragrances captivates you, continuing to evolve in the glass (preferably a balloon-shaped burgundy glass) to a hedonistic spiciness – like standing over a hot wok inhaling the cooking fumes of Sichuan pepper, star anise, cardamom and hoi sinsauce.